Deadline to RSVP for the Chamber Annual Meeting! Chamber Members! 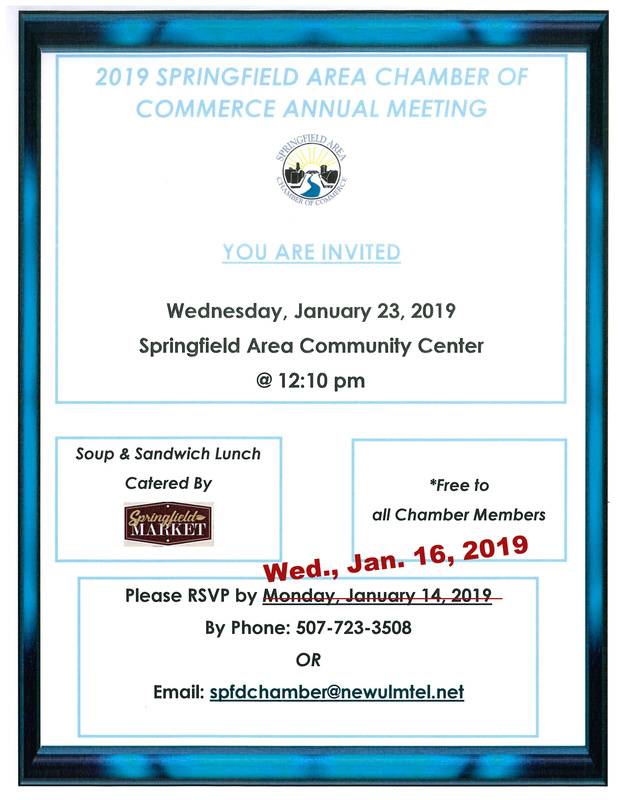 The deadline to RSVP for the Chamber Annual Meeting is TOMORROW, Wednesday, January 16th! Please call the Chamber Office at 723-3508 or email at spfdchamber@newulmtel.net.